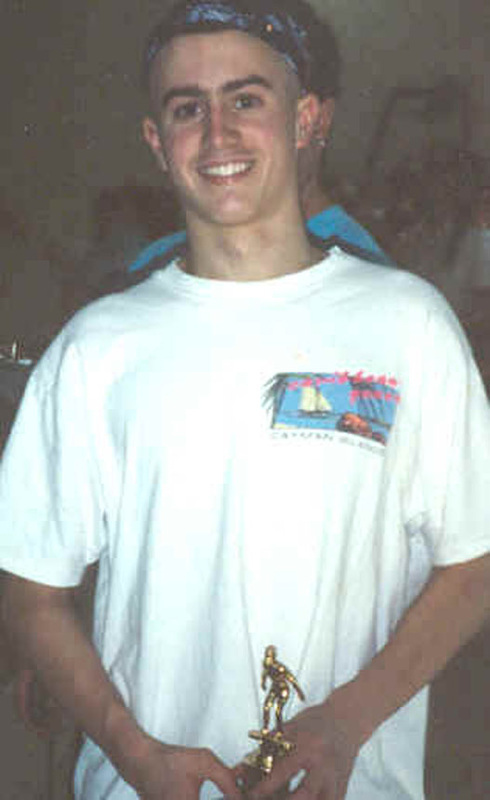 Payson Corbiere was a 1992 graduate of Weston High School. He was also a member of the Red Tide. A hemophiliac, he accidentally contracted the AIDS virus in a blood transfusion when he was in middle school. In the late 80's, the long-term prognosis for those with the virus was bleak. Fully aware of this, Payson continued to live life to the fullest, and never let those around him know of his battle. His ability to step up in key moments and put a big swim in the water was amazing. His teammates - aware of his battle of hemophilia - quickly saw him as a the toughest person they knew. 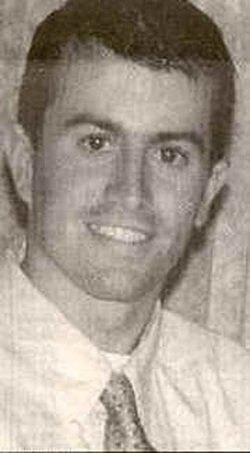 Once Payson passed and his peers became aware of his deeper struggle with AIDS, they realized they had swum with a legend. The 200 freestyle relay was a new event this year and Foley and the crew set standards that will be tough to follow. The 5-9, 140-pound junior led Weston to a 15-1 mark this year. 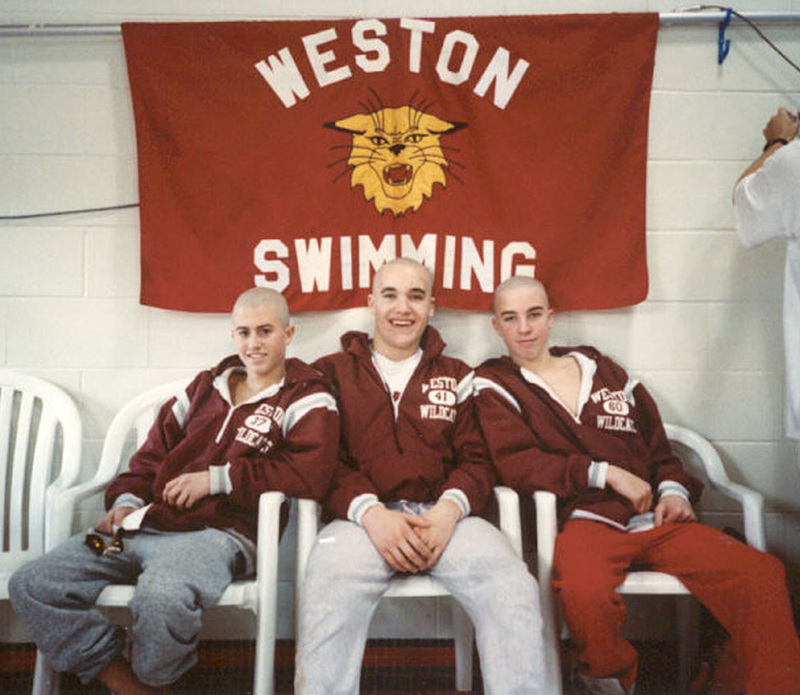 Weston's winning time in the relay was 1:29.63, edging Dual County League foe and state champ Acton-Boxboro (1:29.93). 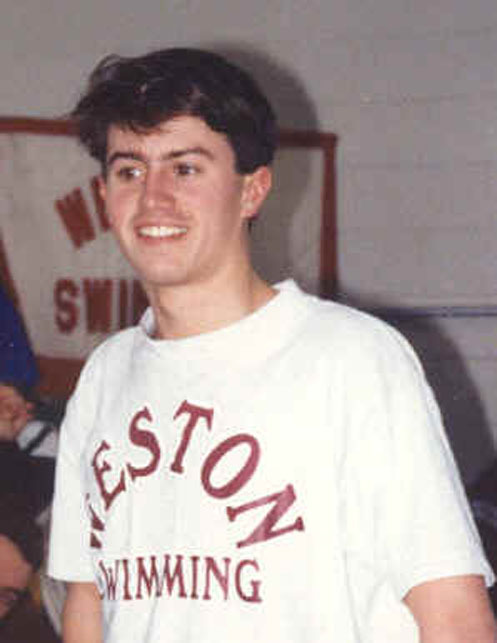 Foley's father, Pete, is the team's coach and school's athletic director .The younger Foley was named DCL all-star in the 500 freestyle and in the 200 freestyle relay. He lists track and triathlons as his hobbies and would like to continue swimming in college. The phrase student-athlete definitely applies to Fraser. The 6-1, 185-pound senior is an Academic AlI-American nominee, a member of the National Honor Society and a Cornell Book Award winner. 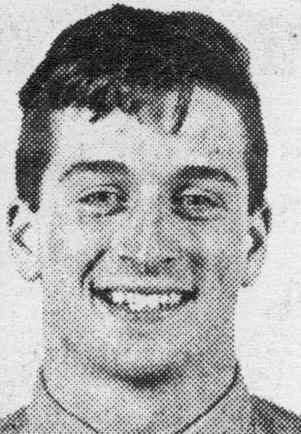 In the water, Fraser was the Dual County League 50 free-style champ and three-time league all star in the 100 freestyle and 200 medley relay. The team captain, Fraser has been a member of Weston's varsity for four years. He enjoys all sports, photography and cycling. In the fall, Fraser hopes to attend Williams or Dartmouth. Bittinger was the anchor leg for the 200 freestyle medley champion and swam a 21.39 in his split. The 5-11, 150-pound senior, also finished third in the state meet in the 100 breaststroke (1:01.84) behind All Scholastics Travis Quigley and Bill Callahan and finished fourth at the state meet in the 200 IM. Bittinger is a four-time Dual County League all-star and is the second all-time scorer at Weston. Bittinger is also a DCL all-star in track. He enjoys cycling and Ben and Jerry's Ice Cream. A top-notch student, Bittinger will attend Williams in the fall.